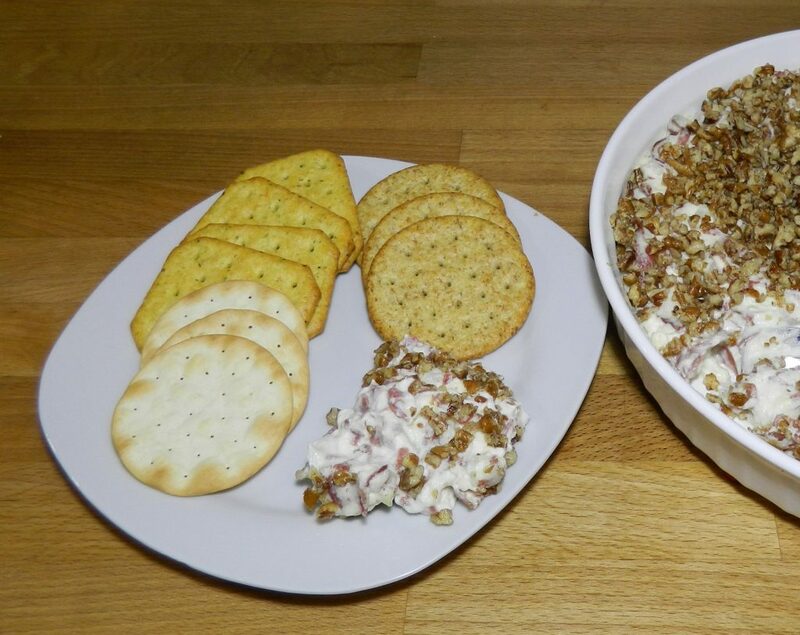 Warm and creamy, this Hot Virginia Dip is a staple at many holiday tables. Preheat oven to 350. Melt butter in a skillet over medium heat. Add pecans and toast. Set aside. 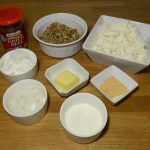 Add cream cheese, milk, chipped beef, garlic salt, sour cream, and onions to a large bowl. Stir until thoroughly mixed. Spread in a 1-1/2 quart casserole or quiche dish. Top with pecans. Bake for 20 minutes, until bubbly. Serve warm with crackers, breadsticks or celery sticks.